Greenhouse Seeds Hawaiian Snow took 1st prize in the 2003 High Times Cannabis cup as well as 2nd place at the 2007 Spannabis in Barcelona and 1st place again in the 2007 ICMAG 420 Sativa Breeders Cup. 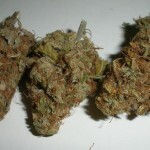 This strain is very sticky, with a great Hazy smell and taste and exhibits a monster THC content and yield. 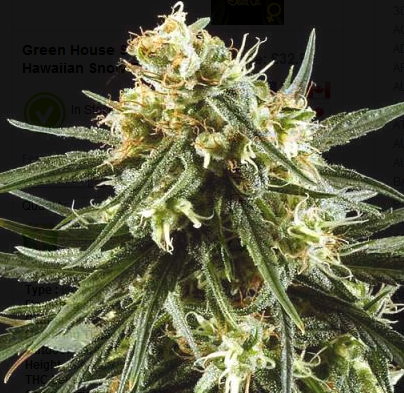 Hawaiian Snowcannabis seeds give a powerful creative high and a delightfully smooth stoned feeling. 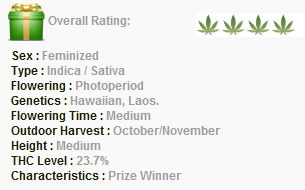 THC: 23.7% CBD: 1.1% CBN: 0.8% Flowering time Indoor for the Hawaiian Snow is between 12 to 13 weeks. Outdoor harvest will have finished by the beginning of November in the Northern hemisphereand and by late July in the Southern hemisphere. Yield (Indoors): 550 to 600 gr/sqm. 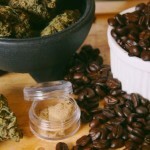 Ever smoke or grow Green House Seeds Hawaiian Snow? Tell us about it in a comment below!